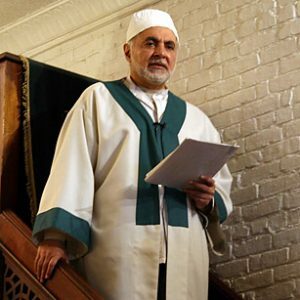 Imam Feisal Abdul Rauf is an Islamic scholar who continues to pass himself off as a “moderate Muslim” yet he refuses to condemn the terrorist group Hamas, blames U.S. policies for 9/11, advocates for sharia in America, is a “key figure” in Perdana Global, the largest funder of the flotilla that tried to break the blockade of Gaza by Israeli defense forces, and works closely with jihadi organizations like the U.S. Muslim Brotherhood and state sponsors of terrorism like Iran. 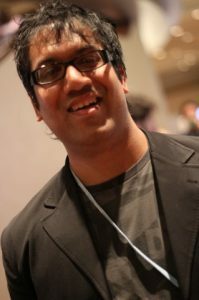 Imam Rauf is also the founder and director of the Sharia Index Project whose mission is to create an “index” to measure the degree of Shariah governance in all nations. As a scholar, Imam Rauf understands that all sharia obliges the Islamic community to wage jihad until the entire world is under Islamic rule. 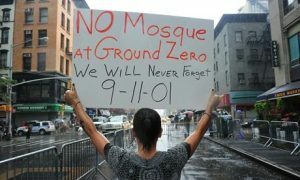 Interestingly, Imam Rauf wrote a book about his true intentions of the Ground Zero Mosque. Like all Islamic leaders he had one message for Americans – which appears to be friendly but is a lie – and one message for Muslims. 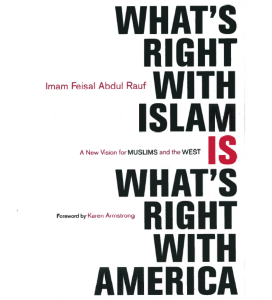 His book in English is titled “What’s Right with Islam is What’s Right with America” giving it a nice ring. His message to the Muslim community was very different. 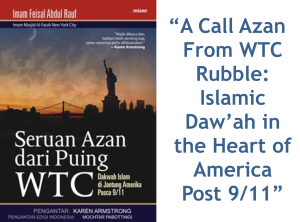 The same book – for Muslims outside America -was titled “A Call Azan from WTC (World Trade Center) Rubble: Islamic Daw’ah in the Heart of America Post 9/11.” As UTT readers know, Daw’ah is the Call to Islam required under sharia before Muslims can legally wage jihad. 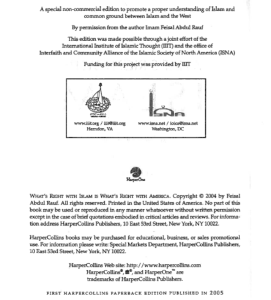 Also of note is a page in this publication in which Imam Feisal Rauf thanks the International Institute for Islamic Thought (IIIT) and the Islamic Society of North America (ISNA) for their help in publishing the book. Both IIIT and ISNA are Muslim Brotherhood organizations and ISNA was identified by the U.S. government as being a funding channel for the designated terrorist organization Hamas. Imam Feisal Rauf also founded the Cordoba Initiative named for the center of the previous Islamic Caliphate in Spain, which was conquered by the Muslims for almost 800 years. The Cordoba House, renamed Park 51, continues the subversive work of putting a nice mask over the totalitarian system of sharia. Imam Rauf’s Sharia Index Project has a number of entities including Park 51 (formerly Cordoba), the American Society for Muslim Advancement (led by Rauf and his wife) which is the fiscal agent, SOHO Properties led by Sharif El-Gamal, and others. The Park 51 spokesman, who also handles the social media for them is Oz Sultan, another sharia advocate who passes himself off as a “conservative Republican” Muslim. Imam Feisal Rauf, like Alamoudi, Awlaki, and so many other “moderate” Muslims turned out to be another suit-wearing jihadi advocating for the barbaric sharia. “Ground” zero per se should be declared convertible for public use by the federal government under its right of eminent domain, thence not only maintained in tact as a thriving-business tribute to American modernity and those who on 9/11 tragically died there — but also as a perpetually raised-middle-finger emblazonment across the New York skyline to remind Feisal Rauf et al what the vast majority of Americans actually think of Islam’s sharia-adherent Muslims, and of what they write & claim to believe in. For in America — in view of Article 6 of the Constitution, as well as the United States Code, none of their draconian madness is, or ever will be, worth the paper its printed on.